“A sandwich is two things: bread and filling”, sagely decrees Chef Monty Koludrovic, the man behind the menu at some of Sydney’s best loved, Italian-inflected institutions. He isn’t wrong. Even that most rudimentary of schoolyard lunchbox stalwarts can hit the spot (even if that means a heavy-handed dose of nostalgia forms the crucial third ingredient) should the occasion call for it. And thanks to the limitless possibilities entailed by a sandwich (“the joy of the sandwich is the variety”, he adds), scarcely a day goes by when a sandwich isn’t warranted. 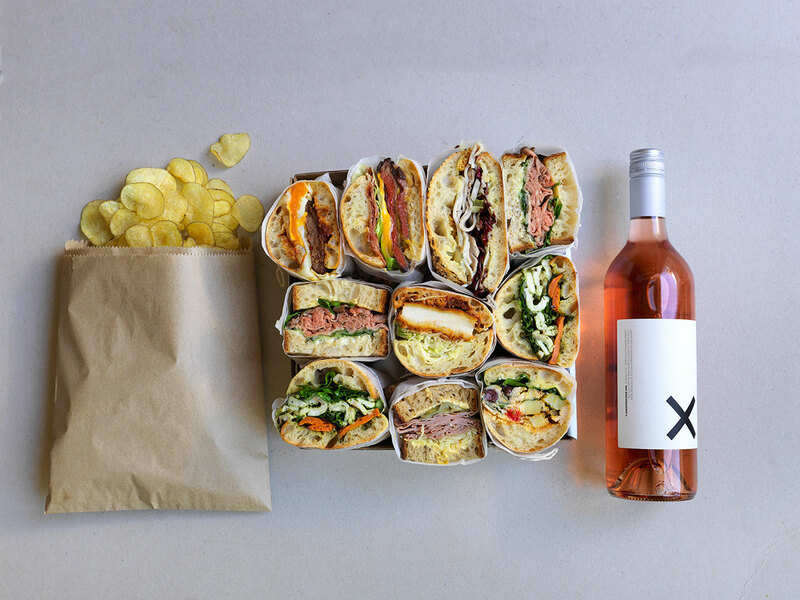 Enter Koludrovic’s Proper Sandwiches, a recently installed program of haute-sandwiches that more than ticks the requisite boxes, served daily until reserves are exhausted at the recently revamped Dolphin hotel in Surry Hills. The concept of adult-friendly sandwiches has long been on Koludrovic’s radar for the venue, with an exhaustive salumeria and incredible produce (and wine) at his disposal. A long-harboured love of the dish (if you can call a sandwich just that) has seen the chef hone his techniques to create options including ‘The Italian Job’ (mortadella, salami, Asiago cheese, rocket and aioli), ‘Tokyo 7/11’ (egg salad, Kewpie mayo, white loaf and chive sprouts) and one of Koludrovic’s favourites, the ‘Forza Scamorza’, the recipe for which can be found below. The Proper Sandwiches menu rotates weekly at The Dolphin, and is well worth working your way through should the length of your lunch break permit. You can find out everything you could ever need to know here. 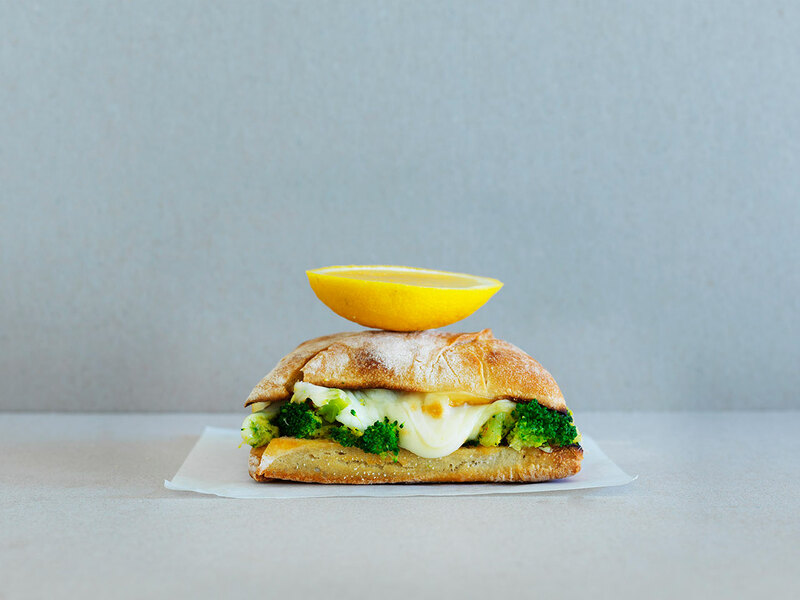 Brocolli, lemon, anchovy, chilli and smoked mozzarella. Toasted. Serves four. Bring a medium sized pot of water and blanch broccoli florets and stem for two minutes, refresh in plenty of iced water. Drain, season with olive oil, salt and pepper and grill on chargrill until lightly charred and smoky. Allow to cool and chop. Mix with chopped anchovy, chopped chilli, lemon zest and herbs. Open your breads and put cheese on both sides. Fill with broccoli mix and close. Toast in sandwich press until hot, melted and gooey. Serve with lemon wedges.